Patented moisturiser unit eliminates dry throat and reduces the chance of decompression sickness. Pressurised moisture creates large concentrations of negative ions with every breath. Negative ions accelerate the delivery of oxygen to cells and tissues, and increases our capacity to absorb and utilise oxygen. Charcoal filter eliminates impurities for extra pure air. Unique impact-absorbing mechanism protects against knocks and bumps. Suitable for all first stages, any brand of regulator. Prior to use simply poor water into the filter using the specially designed fill bottle into the one way valve. The action of forcing moisturized air through the restrictions of the bio-filter in effect "crushes" the water molecule. This crushing action releases negative elections, which then attach themselves to oxygen molecules, creating negative ions of oxygen (Oe2). From 7000 to 8000 pcs/cc of negative ions are generated by the bio-filter with each breath, a quantity similar to that produced by waterfalls or forests. Negative ions refresh, invigorate and increase alertness, improving diving pleasure and performance, especially when exercising vigorously. 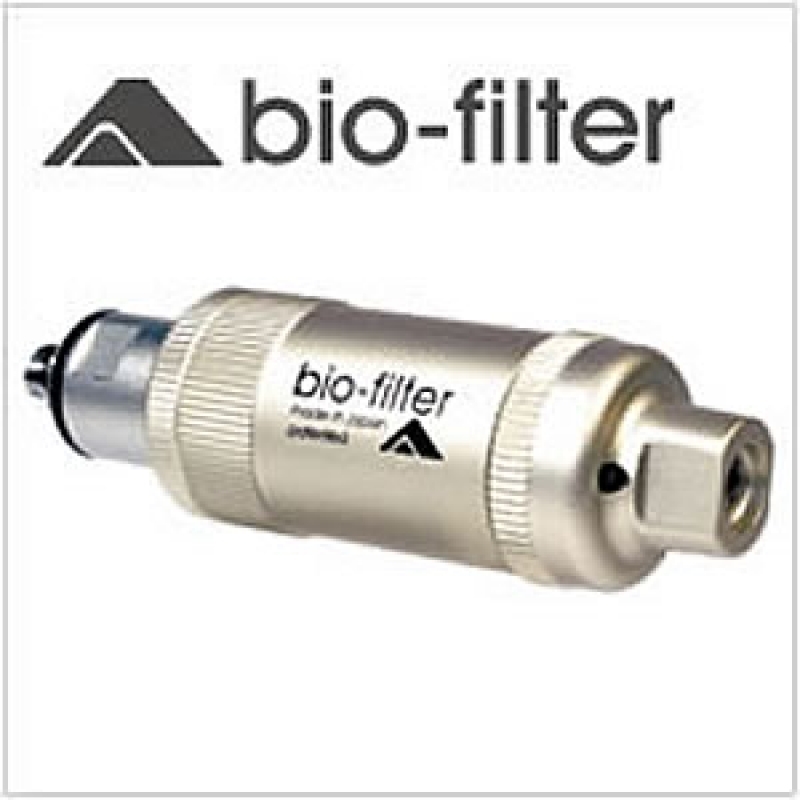 The bio-filter eliminates the problem associated with dry tank gas by replacing 60-70% humidity back into the gas a diver breathes. Without bio-filter, dehydration chemical occurs. With bio-filter, moisture is replaced.